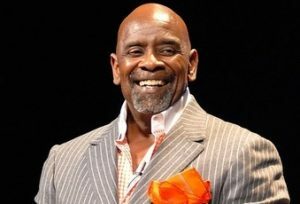 Chris Gardner is an American businessman, stockbroker, investor, motivational speaker, philanthropist, and author who briefly spent time homeless with his son in the early 1980s. His book of memoirs, The Pursuit of Happyness, was published in May 2006. The motion picture The Pursuit of Happyness (2006), portrayed by Will Smith is based on the book. He was the CEO of his own stockbrokerage firm, Gardner Rich & Co, which he founded in 1987. Born Christopher Paul Gardner on February 9, 1954 in Milwaukee, Wisconsin, USA, to Bettye Jean Gardner and Thomas Turner, he has one older half-sister, Ophelia, from his mother’s earlier marriage, and two younger half-sisters, Kimberly and Sharon, from Bettye’s third husband, Freddie Triplett. He was married to Sherry Dyson, a Virginia native and an educational expert in mathematics, on June 18, 1977. They divorced in 1986. Gardner has two children: son Christopher Jarret and daughter Jacintha Darlene. Both were born with his longtime girlfriend Jackie Medina. *He was born on February 9, 1954 in Milwaukee, Wisconsin, USA. *He had the desire of becoming a doctor, which he abandoned at the age of 26. *He was influenced by political figures like Martin Luther King, Eldridge Cleaver, and Malcolm X during 1960s.